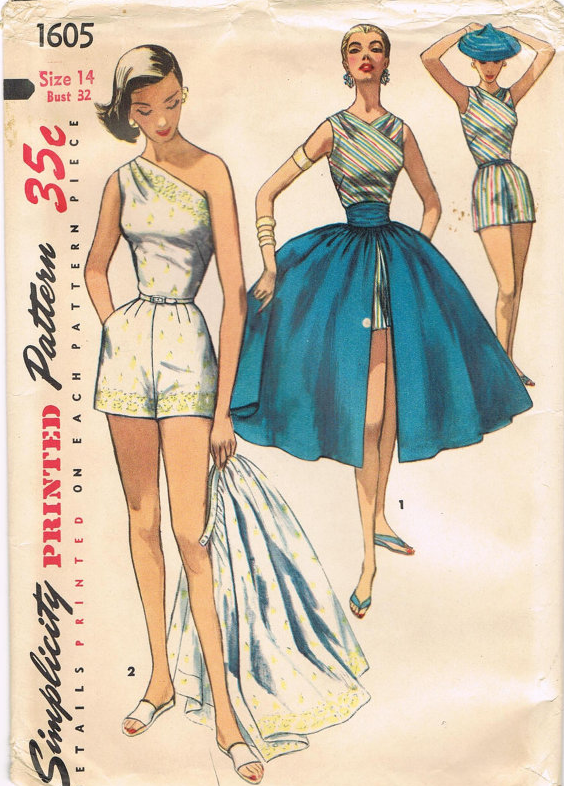 Sew Excited for a Sewing TV Show!!! YAY! Another exciting TV show happening in April (the other being the new season of Mad Men)....And that's a lot of TV watching for someone who doesn't actually own a TV. lol. 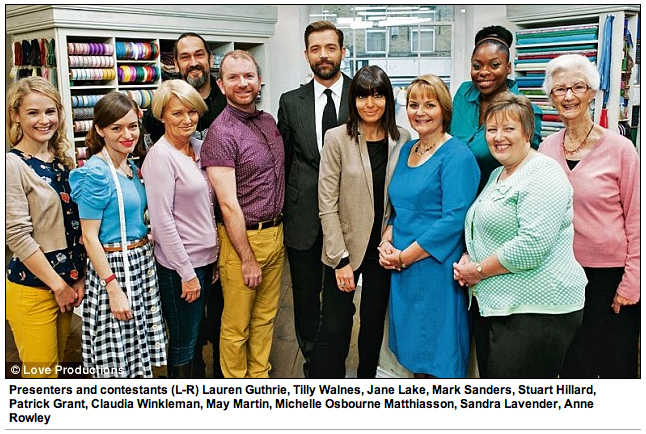 Luckily, The Great British Sewing Bee (which is produced by Love Productions, the same folks that made the incredibly popular baking show) will air on BBC2... so I can watch it online! You can read more about the show here. I suspect this will spur a lot more sewing related exposure in the UK which is great because it will hopefully lead to more people dusting off their sewing machines...AND more sewing related businesses! Huzzah! 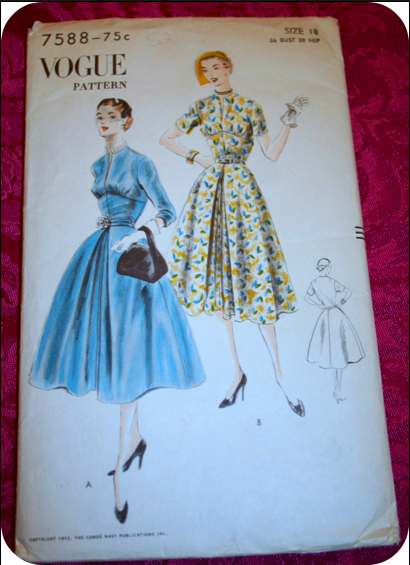 J. Ferrari Designs is one of my favourite Etsy stores offering vintage sewing patterns and accessories. The exciting news is that Jane is offering 20% off the entire shop for ONE DAY ONLY (20th of March)!! Use code: LUCKYDAY at checkout!! A big thank you to Jane for offering such a lovely discount!! 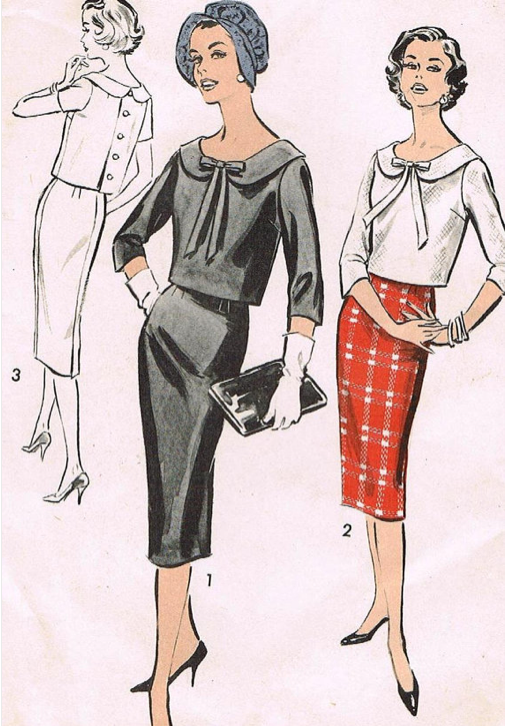 A simple shirtfrock with small, high, notched-collar neckline--the kind of frock that makes up well in all fabrics. 12 sizes, 12 to 18, 36 to 50. 50 cents. 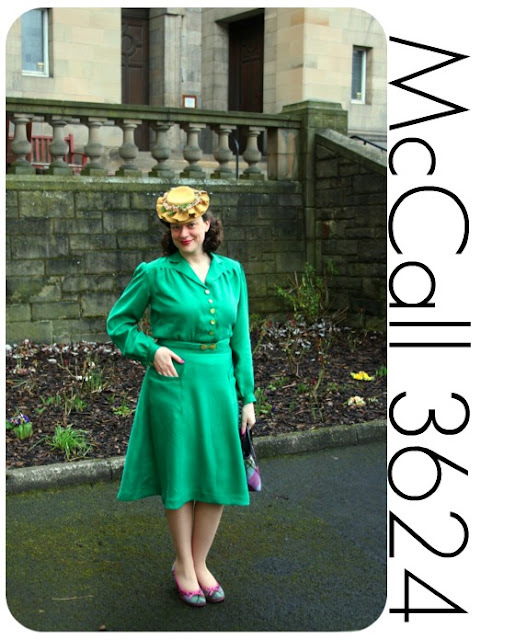 This is also my dress for the 'Sew for Victory' 1940s challenge hosted by Lucky Lucille! 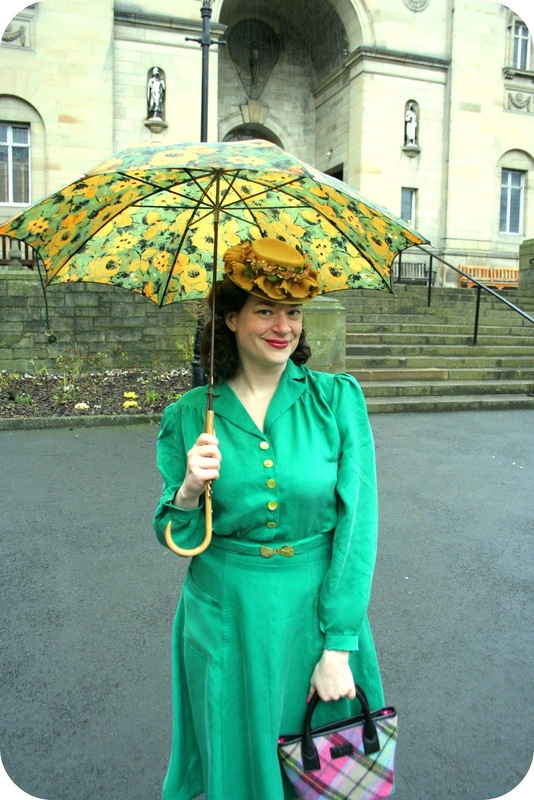 I made the shirtfrock in a delicious emerald pongee fabric. 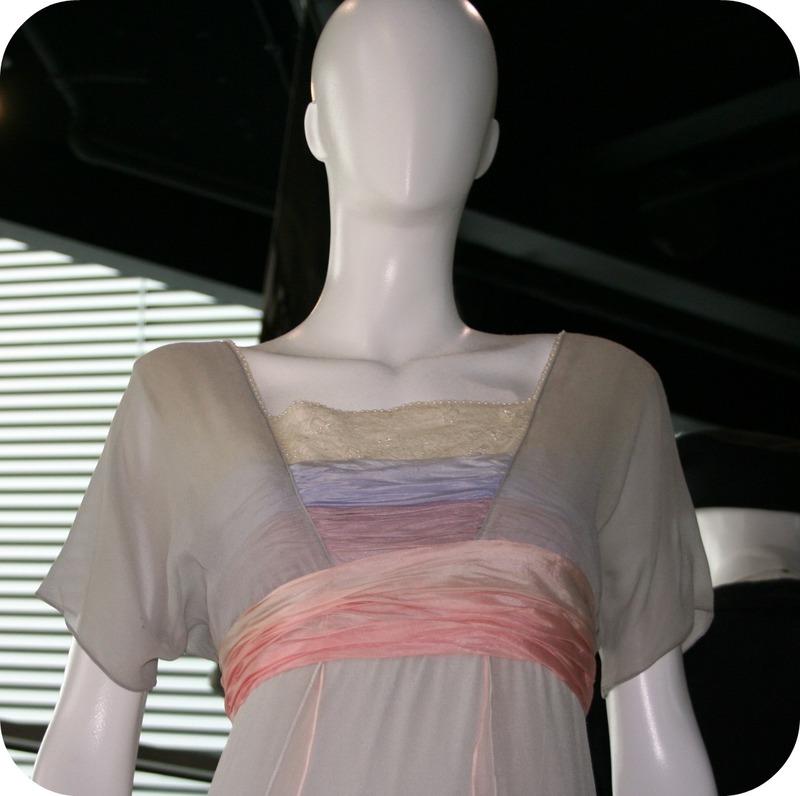 I've never come across this fabric in Scotland but it feels a bit like sandwashed silk. It's super, super soft to the touch, drapes beautifully and is a nice spring weight. The colour is an emerald green (which is a surprisingly hard colour to accurately capture in photographs--it's probably closest in colour to the first photo). 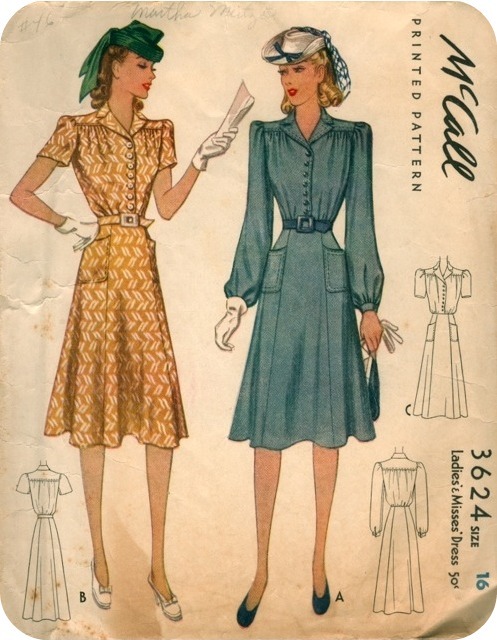 The shirtfrock has front and back yokes with the classic 1940s gathers. I used some beautiful yellow abalone buttons. 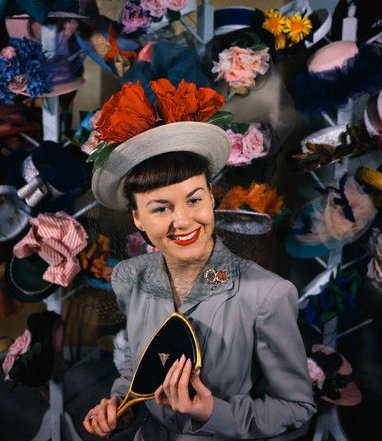 I also had a 1940s bow belt buckle that I had been saving up for the perfect project. 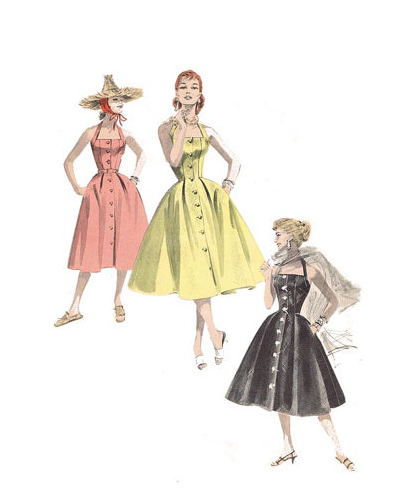 In fact, it might have been the yellow buckle that was the impetus for this dress. I already had the buttons in my stash and I realised they matched the buckle perfectly. I love it when that happens! 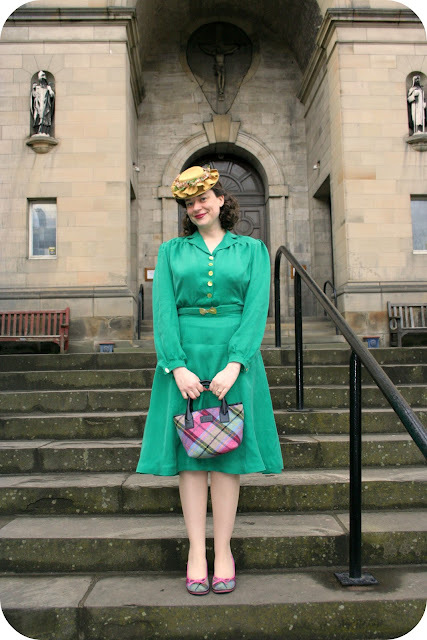 We went to St. Patrick's Parish in Edinburgh for the photos. 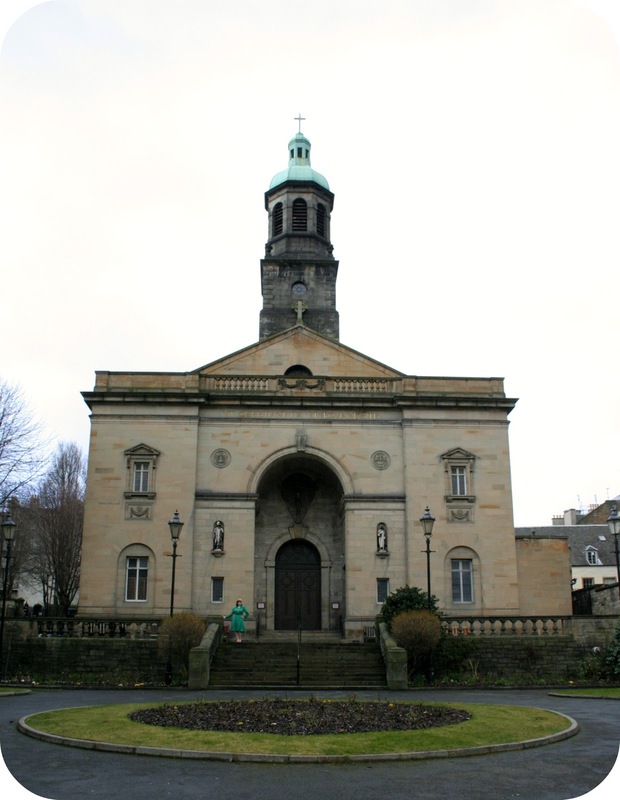 The church is 150 years old and is just steps from the Royal Mile. It's cleverly hidden away and you could easily walk straight by it without seeing it!! I just love it! Overall, the pattern was fantastic to work with. 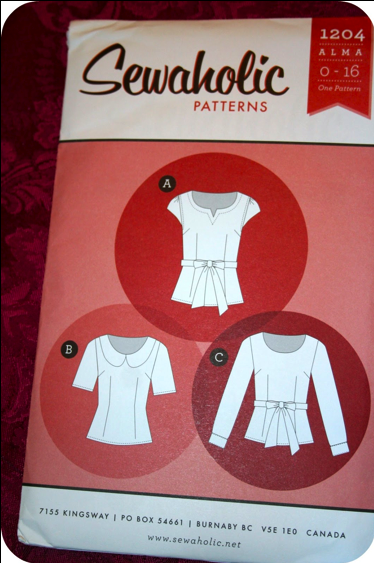 I made my usual adjustments which included adding approximately 2 inches in length to the sleeves, shortening the hem by about 2 inches, taking the shoulders in by about 1/2 inch and lowering the neckline (I only used five buttons instead of the seven shown on the pattern envelope). I also added shoulder pads to the dress. 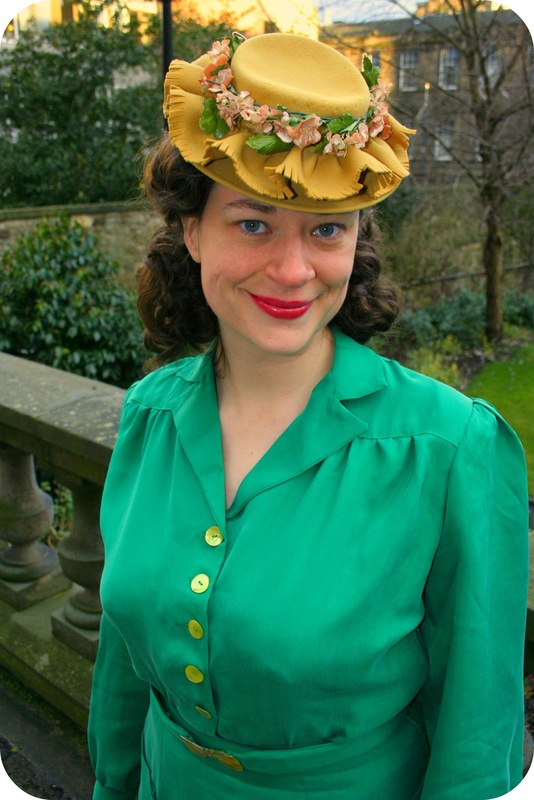 I got the adorable 1940s tilt hat from the Flatiron Vintage Etsy shop. I just love it and plan to make several more outfits to go with it!! I was searching high and low for some green shoes to match the dress but ended up styling the dress with my Ness shoes and matching purse. I'm still looking for some green vintage (or new retro styled shoes). 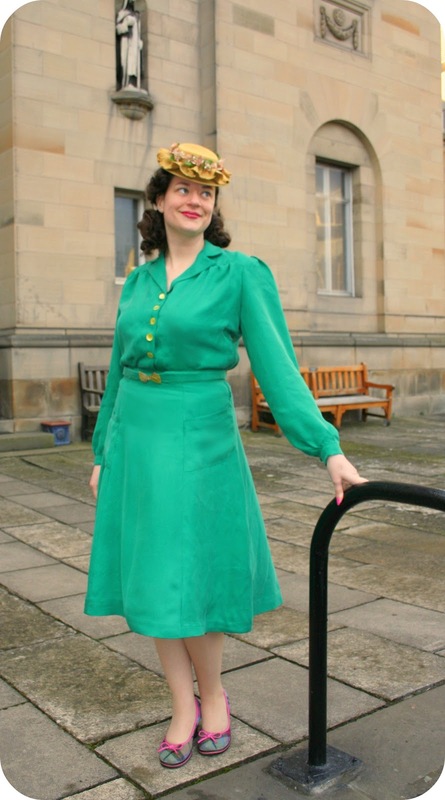 I've fallen in love with the Miss L Fire 'Mildred' shoes but it's hard to tell if they would be the right shade of green and they haven't been stocked in my size. YAY! I am super happy with my dress...I plan on wearing it a lot! It's the perfect weight for that in-between weather that we seem to be having a lot of lately. Hope you all had a lovely St. Patrick's Day!!! What about you? Any plans for St. Patty's Day? How beautiful is that building? 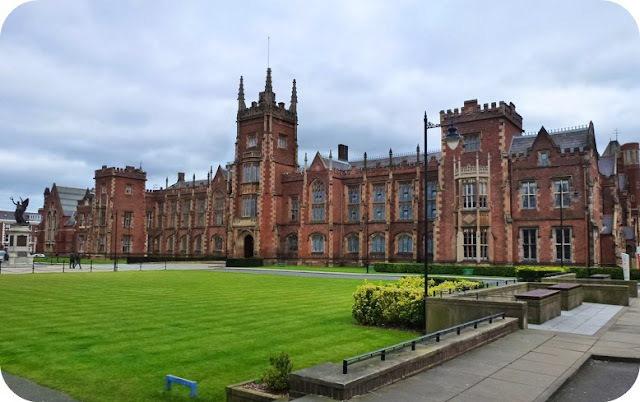 I'm a sucker for ancient universities and the QUB campus does not disappoint! The University was first charted in 1845 and conducts world-leading research across a variety of subject areas. I was lucky to be able to meet with some of the faculty from the School of Sociology, Social Policy and Social Work. The Titanic Centre only opened last year--on the centenary of the Titanic's maiden voyage. Having the Centre in Belfast is perfect since the Titanic was built, among other amazing ships, in the heart of Belfast. 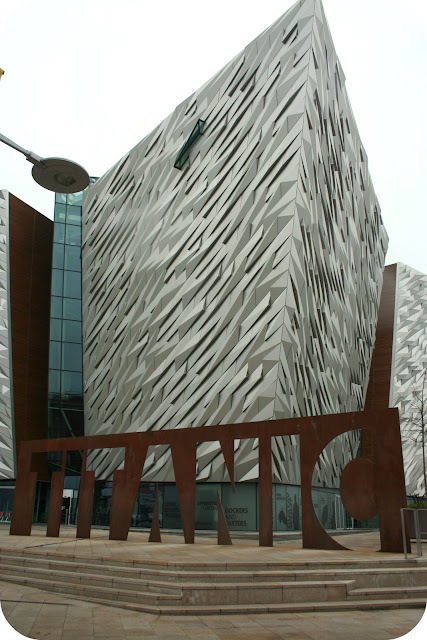 The building itself looks like the prow of a ship. The construction is quite amazing. 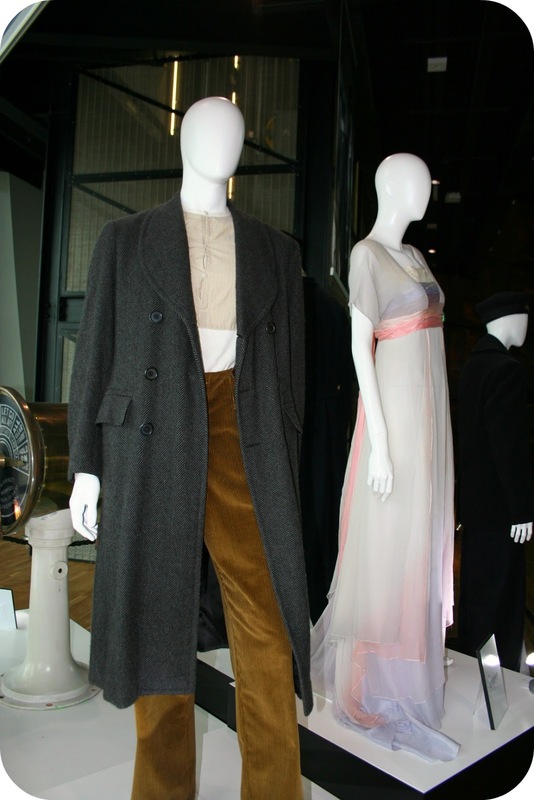 I was very impressed with the museum. It's a hands-on experience and you learn a lot about the industrial period in Belfast--not just about ship building but also about the linen and other industries (which was fascinating!). 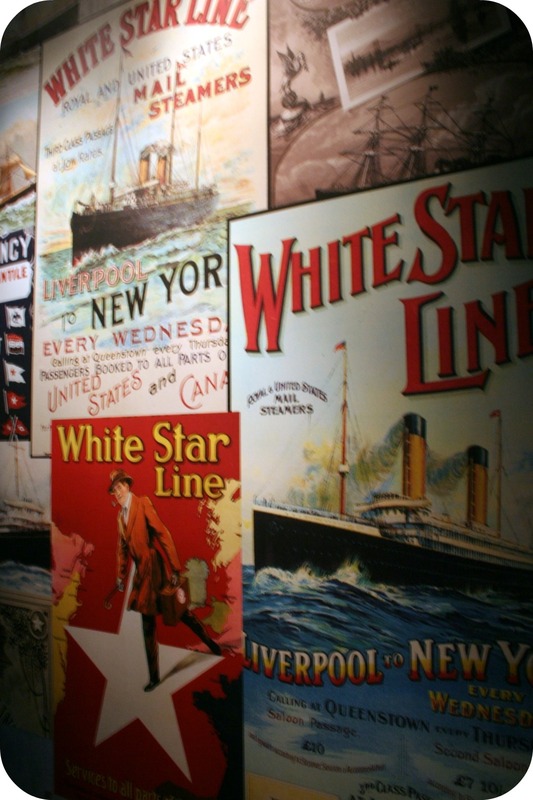 There are lots of things on display from original documents and ship plans to neat White Star Line posters. You get to touch lots of things and you can take pictures throughout the building! I must say that I was a little hesitant to go to the museum. I mean the ship sank and a lot of people tragically lost their lives. I didn't know if I could handle that part of the museum--but it was very tastefully done. 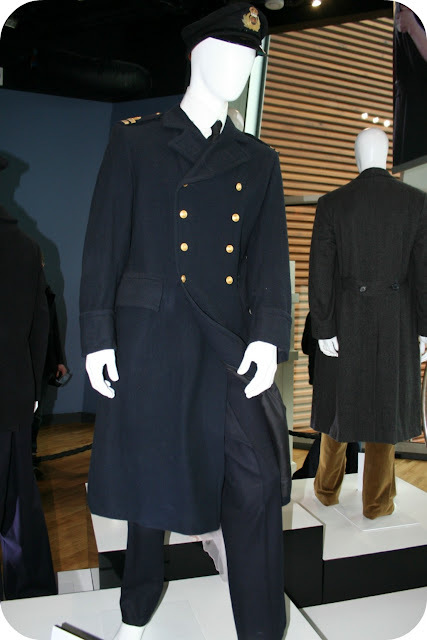 I felt like the museum focused equally on all parts of the Titanic heritage--from the amazing ingenuity in building the ship, to the beautiful interiors and everything the ship encompassed for the time period to the sinking and survivor stories to finally how the event impacted the entire world. 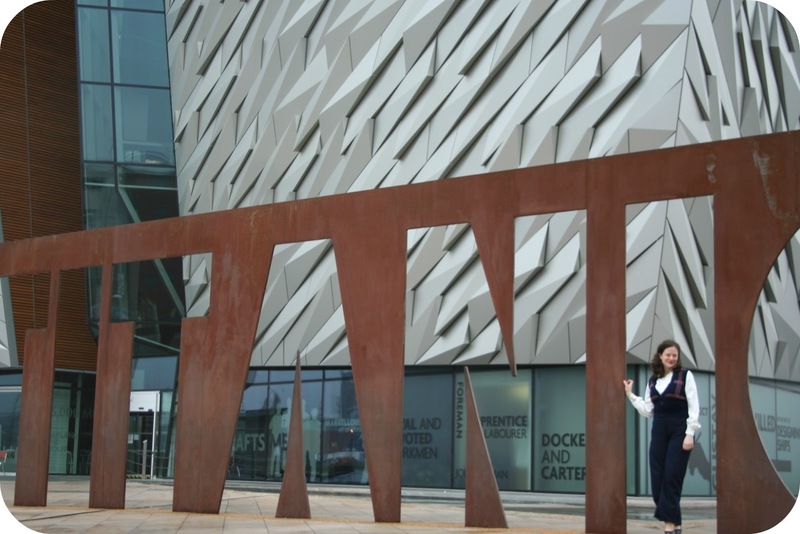 If you are ever in Belfast, it is well worth the visit! Well, hello there! Sorry I disappeared for a week. My goodness when things get busy, they sure GET BUSY! 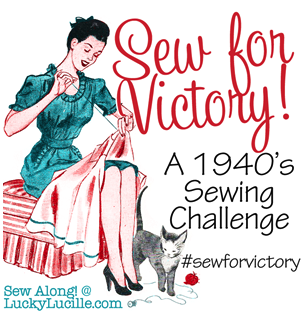 I am happy to report that my sewing mojo is back!! Huzzah! I look forward to crafting up a storm this week! YAY! 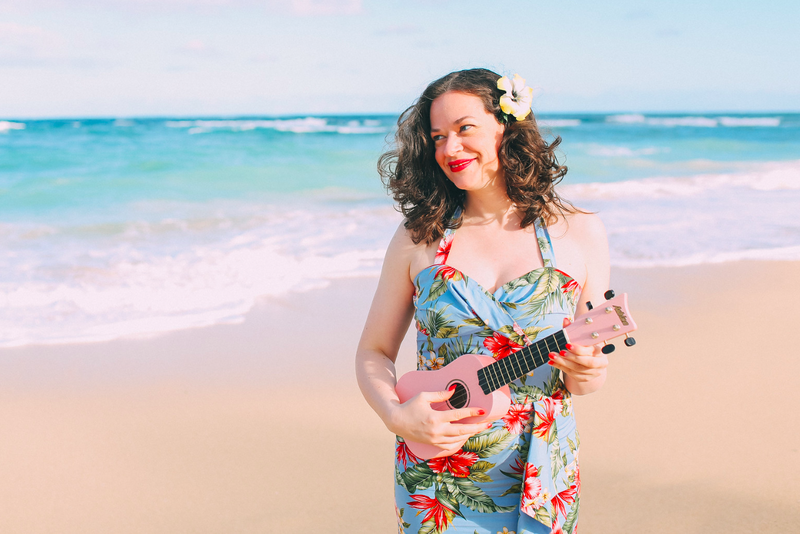 so head on over to the Closet Case Files blog to enter the Pattern Pyramid giveaway and share the sewing love across the globe! !